Teachable Moments/Teachable Me: Get it together! Does that make you feel better. You see there is never going to be a complete balance where everything works in harmony together. Schedules change, stages of life change, and circumstances change and all of those things are a huge factor in how the outflow of your days run. So does that mean we need to throw it all out the window and just wing it....absolutely not. We need to be faithful stewards of our time, resources and heart attitudes. We are teaching our children more than just reading, writing and math. We are teaching them how to handle life, how to live in day to day life, how to faithfully pursue what is good, even when all odds are against us. When we are organized and have a plan, things run more smoothly and we are less likely to fall into patterns where our sinful attitudes take over and make ours and everyone around us lives miserable. The fact that they see that we are trying to make time to get to the important things, is teaching them to be good stewards of their time. So, you say, how do you do that, if there is no perfect balance. Well there's not a pat answer. I would say the first place to start is with your spouse. Some spouses will be more understanding and allow grace, when the laundry piles up, as long as the floors are clean, while others may believe that laundry washed, folded and organized neatly in the drawers is a necessity and that the floors can wait. There would be no use in polishing those floors till they shine, when your spouse values clean laundry over that, it can cause tension between two people, when one feels like, Goodness, I thought I was doing a great job, look how clean the floors are, and the other is frustrated with the laundry. Getting on the same page by sitting down and figuring out together the top things that need to be done each week, that are important to both parties, and getting them in order together by priority is a huge way to avoid arguments over unmet expectations and it provides a great starting block for how to focus on your daily tasks. After you do this, you can sit down and plan. I have found it very helpful to have a written schedule. This being said, you MUST not take the written schedule too seriously because times, they are always a changin. If you don't know where to start, there is a great resource out there available from one of my favorite bloggers Jessica, at Life as Mom. She has an e-book, Organizing Life As Mom. The resources for planning are worth every penny, and it doesn't cost a pretty penny either. I highly recommend this as a place to start. Since it is an e-book, you can download it right away and print the pages you want to use (there are several different options included, for each category so you can pick the styles that best fit you). I have used these for a couple years now. I have also created my own forms for the things that changed over time and didn't line up with the forms offered there. Since times are changing I recommend either sending the forms to Kinkos or another copy shop and getting them printed on laminated pages, or another more affordable alternative is putting them in page protector sleeves. With both of these options you can use dry erase markers to fill in your schedule and you can change it freely as you try things out to find what works. She also has one available specifically for homeschool, but I do not have that one. So that is generally speaking. More specifically speaking, let's talk housework. 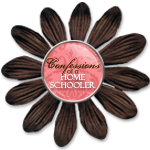 Keeping up with the housework is by far one of the biggest challenges for homeschool moms, especially ones with younger children that are limited in their chore capabilities. I highly recommend having a list of chores for your children to complete each day, based on their ability level. Post it on a chart and give them a star or check every day they are complete and a reward at the end of the week if you so choose. For Moms chores, I have found that different things work at different seasons. Here are my top three that I change between, depending on what season of life we are in. Option 1: One Room A Day-Using this option you create a schedule M-F (you can include weekends too if necessary) where you concentrate on cleaning just that one room (or zone) that day, when it's done, your cleaning tasks for the day are done (for me I include rooms that are attached to other rooms, such as, the master bath with the master bedroom, powder room with the kitchen, upstairs bathroom with the school room etc but you could break it down so that bathrooms is one of the days I say zones because you could call it by zone I usually include the two upstairs bedrooms, bath and school room as one day. It doesn't take long to clean them. Break it down in a way that works for you, the idea is to keep it to something you could spend only about 30-45 min tops (or less) cleaning a day (that's not including the things you do every day, we will get there) Think about what rooms would be better on which days...if you have a big out of the house day, the easiest to clean room or zone should go on that day. If you have a day when people come to your house, make it the main room you will be entertaining in. Just think about what will work best for your family. I created my own schedule specifically for my day to day cleaning, with a list of the room to be cleaned and a checklist. Life as mom also offers a cleaning checklist in her book. Option 2: One Day To Clean It All-There have been seasons where schooling days don't go as smoothly as I would like, or doc appointments etc. fill up the days when we are not schooling and I am unable to do Option 1. In order to not make myself feel like a total failure at keeping up with the house, I throw option 1 out the window and move to option 2 and pick one day, where I have a review day, an easy school day, and we all clean the house as a team...mostly me though, if I am being honest :) This works for me because my house is not huge, but I have friends that say it would not work for them because their house is too big and they wouldn't be able to do it in one day. You could consider breaking it into two days in that case, maybe an upstairs day, and a downstairs day or something. Option 3: Duty a day-Similar to option 1, but break it down by cleaning duties, one day you vacuum/mop, one day you dust, one day you clean the bathrooms etc. This is also good and keeps it more open and not too much pressure on you. So these are the three options I use most often depending on where we are at in our season of life. I am usually always touching up during the week too, by wiping down dirty sinks with a towel, giving the kids the dusters to have them go through a quick run through of the house just helps keep up easier and makes less pressure if you fall behind. These ideas are to be a guide line to getting the house clean. In addition to this there are daily duties that need to be done, such as laundry, dishes, making beds, picking up and touch up cleaning. For beds and such, we do a morning High five, and an evening High five, with the five things the kids need to do in the morning, make beds, get dressed, put away pj's, brush teeth, and kitchen duties. For bedtime, its bath, pj's, put away dirty clothes, brush teeth, potty. Life as mom suggests this and has a chart available in her book. I created my own chart in word, with clip art for each thing. Its posted on their bedroom door so that we can make sure we do it each morning and evening. For laundry, I have a rule, one load of laundry, from start to finish (wash, fold, put away) EVERY DAY. Some families may need to do two loads a day like this if you have a larger family or if you usually do 1 load a day, but need to catch up . I usually put a load in first thing in the morning, switch it at snack or lunchtime, and fold it during naptime, put away after nap (my kids all still take naps, even my 6 yr old so I am blessed) fold it during whatever free time you have to do tasks like this. I usually separate them, whites, colors, jeans, towels etc. and choose the pile that is biggest, but if there is a need for white shirts and the colors pile is bigger, I still choose the one where there is a need. Just some basic laundry principles to guide you. For dishes, I usually run the dishwasher after dinner and try to unload it before bed, that way I start the morning with a clean sink and ability to clean up after breakfast with ease. That's just me. For picking up and touching up, I usually clean up everything right when we finish in a room. I have a toy organization system, which I will share in my next post, where I have everything categorized into bins, in a LOCKED closet and the kids are aloud to choose a bin of toys each to take out. They are to be responsible for the cleanup of that bin of toys as long as it is out, no matter who played with it. When its cleanup time, that's the bin they are responsible for. They each have kitchen duties (simple ones on their level) so whenever we are done with a meal they do their kitchen duty. We always clean up the areas we play in or school in, before moving on to another. Another thing I have done on crazy days (and a lot of them are) where the clean up each room before we leave it principle doesn't work, is group clean up at nap time, and just before daddy gets home. I always try to have the house in order before daddy gets home. He's been hard at work all day, I want him to have a nice environment to come home to, so I make this a priority each and every day. I also have a set time that I start dinner, it's usually toward the end of the kids naps, but if that doesn't work, either have them help you, even if that's hard at first, they will eventually learn and it will be less of a hassle, but if you don't want to do that figure out activities such as outdoor play, play dough, puzzles, games, a movie, extra school work, whatever you choose to occupy them so you can focus on cooking. This goes for your 30-45 min cleaning time as well, if you have children that don't nap. These are just some of the things I do to stay on track, but that is not to say I don't get off track. When I do, I just try to take it a day at a time, try not to freak out, my frustration trickles down to everyone else in the family and makes life miserable. So stay calm, breathe, pick an option 1,2, or 3, to focus on and just start from there instead of trying to put all kinds of pressure on myself to get it done right NOW! If you just can't do that, take a day or two off from formal schooling, give worksheets, use online resources, whatever you want to do, and get it together. I try not to do this too much, but the reality is, sometimes you really have no choice and it's the better option for everyone, especially if you are having a hard time keeping your cool. So if you choose to hop in where you left off and its option 1, start with whatever day it is and clean that room. You will be back on track in a week. If its option 2, wait until the day you have for cleaning and do it then or revert to options 1, or 3, to help you get caught up in the week. Then resume full option 2 level cleaning on the appropriate day. Etc. I have provided links to the organizing book by Jessica at Life As Mom, and I will be happy to provide you with my own templates as well if you would like. I will talk about how to get a handle on organization and less disastrous messes to clean up in my next post. I would be happy to hear your suggestions on organization and how you keep on track as well.